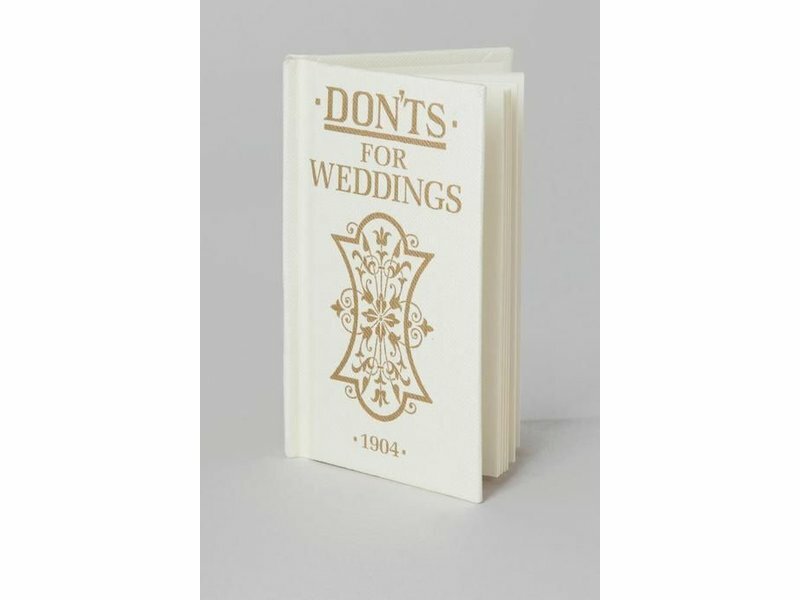 Following the success of Don'ts for Husbands and Don'ts for Wives a brand new old collection of advice for couples from courtship to the honeymoon. "Don't single out a girl if you do not intend to propose to her, for the way in which your conduct is regarded will be greatly influenced by your banking account"
"Don't rush but chose an auspicious moment, A man who tries to propose when a servant is expected to arrive with a scuttle of coals is not likely to meet with much favour." "Don't allow awkward pauses to break the conversation because your thoughts and eyes are hungrily trying to follow your lover, who is manfully assisting the hostess." "Don't forget that elderly bridesmaids in youthful frocks and girlish hats are ridiculous to the unthinking, and pathetic to those who look below the surface." 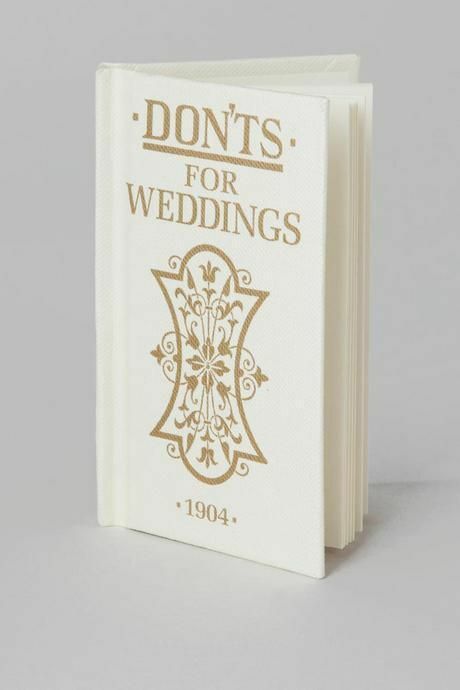 "Don't be thoughtless - Good silver is always a joy, but remember the young wife with only one servant will have to rub up her own silver backed brushes and sweetmeat dishes if she wants them to look nice." 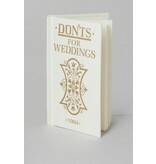 "Don't indulge in a long honeymoon. Undisturbed possession soon palls, and man was made for something more virile than perpetual billing and cooing."